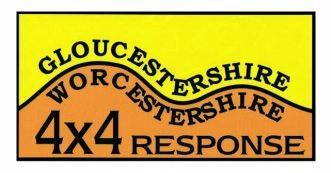 Gloucestershire & Worcestershire 4x4 Response Charity provides 24/7 four-wheel drive support to the Emergency Services and the local community, particularly during adverse weather. They are currently recruiting for volunteer response drivers and controllers. Response drivers use their own 4x4 cars to undertake tasks and all types, including SUVs and “soft-roaders”, are welcome. If you don’t own a 4x4, they also need controllers who assign the response drivers to specific tasks and monitor their progress (usually from home working in shifts). If you decide to volunteer, we would be grateful for some feedback on your experience. Please email me or add a comment to this post. Thanks.